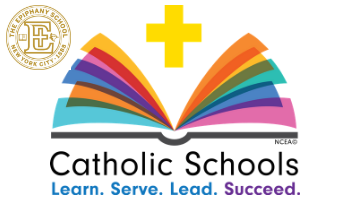 Catholic Schools Week is an annual celebration of Catholic education in the United States. This year it takes place the week of January 27th – February 2nd. The Epiphany School will have Open School Days for our families. Please join us. The Early Childhood Center will have Open School Days. The Lower School will host families with surnames beginning with A – M.
The Upper School will host families with surnames beginning with N – Z. The Lower School will host families with surnames beginning with N – Z. The Upper School will host families with surnames beginning with A – M.
Coffee and pastries will be served by the Epiphany Family Association at 8:30am each morning in the Lower & Upper School cafeterias.